You can read the part-1 here. Waves Platform is one of the most funded projects of all time, it raised ~30,000 bitcoins during its ICO (Initial Coin Offering), which was equal to ~$16mil US dollars at the time (now ~$19mil). It’s founded by a Russian entrepreneur Sasha Ivanov, who has previously founded Coinomat and was also an NXT developer. 1) Token Issuance – any business or individual can create their own tokens on Waves Platform. And it can be traded against other tokens in the Waves DEx (Decentralized Exchange). This has a huge potential to digitize and make the traditional rewards points systems blockchain-enabled. Incent is the first startup in this area which will be using Waves Platform. 2) Decentralized Exchange (DEx) – Waves will also have DEx for users to trade crypto-currencies such as bitcoin, ethereum, and other major altcoins. The tokens that are issued on Waves Platform can also be bought and sold against any other cryptocurrencies on the DEx. 3) Decentralized Crowd-Funding – This is similar to Kickstarter platform, but it has one significant difference. Normally on Kickstarter, you will get a product for supporting the startup. Whereas on Waves Platform, when you support a Startup, you invest your money in a startup and in return you will get their tokens. These tokens will act as a company share and naturally based on the performance of the startup can increase or decrease in value. Number of tokens will depend on how much money you invest in a startup. After the crowdfunding is over, tokens can be acquired or sold on the DEx. I have written about some of the innovative startups around the bitcoin blockchain technology in my previous post. In this post, I will be covering some of the startups related to Bitcoin and I will also be covering some alternative blockchains (alt-coins or alt-chains) to Bitcoin that are potentially promising. Syscoin is one of the lesser known alternative blockchains out there. Coinmarketcap, website that tracks crypto-currencies now lists more than 700 different crypto-currencies. 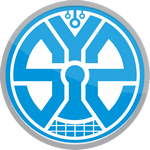 Syscoin is similar to bitcoin in the sense that it has its own blockchain and crypto-currency, however in addition to these two main components, it also has built-in; decentralized marketplace, aliases, digital certificates, and data-alias (datastore). Most of the other alt-coins (alternative coins to Bitcoin) are quite similar to each other and similar to Bitcoin in itself, with just a few tweaks in the algorithm. But Syscoin has fundamental differences to Bitcoin as mentioned above, which makes it one of the unique alt-coins that stand out from the rest. Additionally it appears that it has a strong founding team with clear (medium-term) product roadmap that has been outlined on their website. Here is a good diagram that shows the differences between Bitcoin and Syscoin. And here is an interesting interview with Dan, who is in charge of the Dev team. Ethereum is probably the most promising alternative blockchain application platform that is getting most of the spotlight at the moment besides Bitcoin and it’s rightly so. Keyword here is “blockchain app platform”, think of it as – if Bitcoin is a settlement and payment protocol, then Ethereum is a blockchain app platform. One provides bare bone functionality for financial settlement and value transfer, another provides ability to build any decentralized blockchain based apps. Ethereum comes with its own programming language called Solidity for programming decentralized apps or smart contracts on Ethereum blockchain. Ethereum has become popular thanks to its outgoing founder Vitalik Buterin, who goes around the world organizing DevCons for Ethereum project. I would say Ethereum’s vision mainly relies on Vitalik’s own vision. And as long as Vitalik is leading the Ethereum project, it should be heading to steady success. Lately, there has been a huge spike in interest in private blockchains, particularly from banks and financial institutions. Some of them are already working on their own private blockchains to improve the efficiency of their services. Improving the efficiency of their services is one thing, but to equate the private blockchain to the Bitcoin’s Blockchain is something totally different. Private blockchains are no different than relational databases, which are centralized. They are like an Intranets to Corporations. While Bitcoin’s Blockchain is like the Internet i.e the World Wide Web. Private blockchains are centralized. An organization that owns it, can, if they want, alter any transaction at their will. There is absolutely nothing stopping them from doing it. So, private blockchains shouldn’t be seen as transparent, tamper-proof systems. What moves the price of Bitcoin up? Last week Microsoft announced that it is now accepting bitcoin for app purchases on Windows phones and Xbox. Many bitcoin enthusiasts were hopeful that this would positively affect the price of bitcoin and also facilitate the wider usage of bitcoin among gamers and general public at large. However, the news of Microsoft accepting Bitcoin went unaffected just like the previous news of Dell accepting bitcoin or DISH accepting bitcoin or Expedia accepting bitcoins for booking hotels and etc etc In fact, the price of bitcoin is hovering at $330-$350 which is one of the lowest in 2014. Cheaper and more convenient international remittance services (..than Western Union or traditional Bank Wire Transfers) – e.g; Imagine construction workers in Dubai sending money back to India without even visiting a bank branch and at a fraction of a cost. Making mobile banking and micro-payments available to feature phone users via the traditional SMS technology (61% of world’s population is still not connected to internet). Telcos could play a big role in this area. When you mention Bitcoin, first thing that comes to people’s minds are that it’s an anonymous digital currency (it’s actually far from anonymous but that’s a discussion for another post). So it’s primarily associated with a “digital money” for majority of the people. But it’s much more than that. The underlying technology that Bitcoin is built upon is called The Blockchain. The Blockchain, in simple terms is a decentralized platform that keeps track of all the transactions ever executed on the platform. It’s transparent and it’s decentralized, in other words no central government or banking institution controls it. There are major “nodes” (or servers) that keep copy of all the transactions, and there are many other computers that sync to those nodes. Bitwage – bitcoin based payroll system for companies. Especially useful in paying international employees or freelancer workers. Filecoin.io – Data storage network and electronic currency based on Bitcoin. Counterparty – raise funding for your startup. Think of it as a Stock Exchange based on blockchain technology that allows you to IPO on your own.